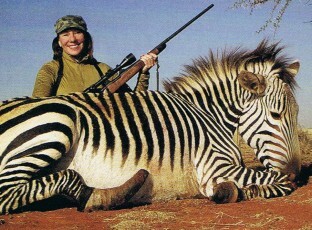 The Ultimate Trophy Hunting Experience: 12 000 acres – 3 000 animals – 36 different species. Your dream Hunting Safari under South African Skies. Wiets Safari’s operates from the Botes Family Ranch in the Free State and borders the Northern Cape Province. This Ranch, where you will start your hunting safari, has been in our family for the last 32 years. The 12 000 acres consist of grassland and “koppies” where 3 000 animals of 27 different species roam. Wiets Botes, the owner of Wiets Safaris was honored with a gold medal in 1983 as the person who contributed the most toward Fauna and Flora. The first baby rhino in 100 years in the free state was born on our ranch. We also started a white lion project in 2002. Laundry is done daily except on Sundays. Therefore you only need 4 sets of bush/safari clothes, casual wear for trips to town, a wide brim hat and comfortable walking/running shoes. 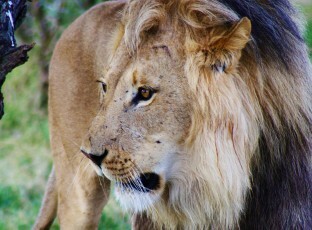 The duration of your hunting safari will depend on the number of trophies and concession areas to be hunted. 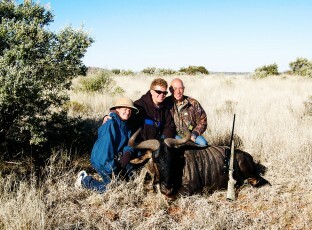 Each trophy hunting safari is designed to meet the requirements of our client. Hunting Safaris of five days or less will be conducted on one concession. Day of arrival and day of departure will be considered as one hunting day. Sitting at the fireplace with the flames telling tales of its own, I’m watching the magnificent African sunset for the 5th year in this chair. This is all possible at Wiets Safari’s where my PH dreams finally came true after 15 years of being a free lance PH. This place is truly my Home away from Home. I’ve had plenty of experience with lots of different Hunting Outfitters all over the different provinces of South Africa. All of these had one major thing in common, business and there for money. This means that the true experience of the South African bush is not met at its fullest. The most beautiful 5* Lodges and not to mention the Land Cruisers rigged to any PH’s dreams. Plenty of animals (game) but one major aspect were missing at them all, Home away from Home!! This for me is the most important factor I need to provide for all my clients I guide in South Africa. They come thousands of miles to the relatively unknown place called South Africa. Fellow hunters/clients, this factor I can recall with every single client I have guided and spent time with over the past 5 years at Wiets Safari’s. Second on my list of the ultimate Hunting experience will definitely be the trophies (animals) I can provide my clients with. At Wiets Safari’s this is all possible by one of the most committed farmers I’ve met in regards to conservation. Mr Wiets Botes owner of the farm that he started during the 70’s. The fact that he started so early and the conservation aspect means that there are more than abundance of game (animals) but more important top quality trophies to choose from. I would love to invite any fellow hunter/client or guest that’s serious about having the African safari experience to remember, to come and join me next to the fire at Wiets Safari’s so we can talk under South African skies!!!! To secure a hunting safari booking, 40% of daily rates need to be prepaid. Confirmation of a booking will be faxed or e-mailed as soon as deposit is paid. Balance of daily rates is payable prior to commencement of the hunt. Final payment must be made prior to departure from hunting lodge. Any animal wounded or killed must be paid in full. Travelers cheques and Visa/Master/American Express cards will be accepted but unfortunately no other credit cards or personal cheqeus. In the event of cancellations, the deposit will not be refunded unless a replacement hunter is found. Bow hunting is growing ever more popular. We are experienced in bow hunting expeditions and have all necessary technical knowledge to guide you through your bow hunt. To accommodate bow hunters, permanent blinds have been set up around watering holes and mineral blocks at various locations. We have been involved in green hunting since 1998. Green hunting entails taking White Rhino, one of the big 5 species, with a tranquilizer dart. This can be done by a dart gun or bow. Safari Club International recognizes the taking of white rhino with a tranquilizer as one of the big 5 and can be entered in the record book. On our ranch the hunting season is all year round with our winter (30F to 55F) during April to September and our summer (60F to 90F) from October to March. The diamond mining town Kimberley is only 30km away. Shopping and sightseeing is only a stone-throw away. Taxidermy of your trophy can be arranged. We do high quality trophy mounting of all hunted species. For references you can visit our website http://safari.wiets.com/references/ or contact us for a recent list. No responsibility for any injuries and/or damage to equipment will be accepted by Wiets Safaris. Clients should arranged their own comprehensive insurance.